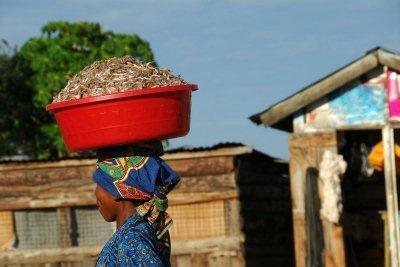 smallholders – One Billion Hungry: Can We Feed the World? Last month the Alliance for a Green Revolution in Africa launched their first annual report detailing the state of African agriculture, entitled The Africa Agriculture Status Report. Reducing cheap and subsidised food imports, which weaken African agricultural market development, as well as increasing smallholder farmer access to credit, addressing trade restrictions and high transportation costs. Addressing the gender imbalance in access to productive resources such as land, credit, agricultural technologies and services. Boosting research and development for food security for underperforming countries. Africa as a whole has a mere 70 researchers per million inhabitants (compared to the USA, which has 2,640 researchers per million inhabitants). Addressing declining soil fertility, which threatens crop yields and agricultural development. For AGRA this means addressing the high price of fertiliser in many countries of Africa. Reviewing and harmonising seed laws and regulations to allow the development of Africa’s seed markets. The value of the report lies in its synthesis of data and, due to this, of being able to make comparisons between countries. AGRA aims for the report to cover all countries in sub-Saharan Africa within a few years and has high hopes that the report will enable researchers, scientists, farmers and policymakers to access reliable agricultural data in order to make informed decisions relating to food security, data which can often be difficult to access. Seeds might be small, inconspicuous things but they hold a great deal of power. For some, seeds mean survival, ritual, life. They are the basis of much of the food we consume. Perhaps because of their power and their value to the planet’s food security, seeds are a controversial topic. The sale of seeds, the modification of seeds and the saving of seeds are all issues which inspire much discourse and disagreement. The Gaia Foundation produced a video called Seeds of Freedom, which documents the century’s old custom of saving and selecting seeds best adapted to local conditions, cultural preferences, and resilient to environmental constraints. The film highlights the threat that privatisation of the production and sale of seeds poses to these traditional farming practices. Cycles of seed saving and the maintenance of agricultural biodiversity have been challenged by the introduction of higher-yielding hybrid and introduced crops that can lose their vitality after the first season, thus requiring farmers to purchase new seeds every year. The video paints the leaders of the Green Revolution as seeking power over the seed value chain. And while many would disagree with this, that scientists were developing high-yielding locally adapted crops with the aim of increasing food production and reducing hunger, there is little doubt that agricultural crop biodiversity was lost as the rise of monocultures and heavy chemical use expanded rapidly. 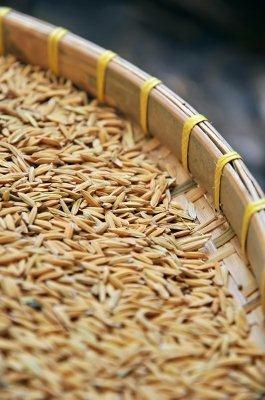 In the Philippines, a poster country of the Green Revolution, only 8 rice varieties out of 3,500 are now grown. Agricultural biodiversity and the wealth of information and traits it contains is particularly important given the global challenges we face, not least climate change. There are crops and crop varieties that can withstand extremes that would decimate many of the crops we regularly eat. Pearl millet for example, a crop grown annually on more than 29 million hectares in the arid and semi-arid tropical regions of Asia, Africa and Latin America, can survive the most hot and hostile Sahelian conditions. Thus conserving seed diversity both in situ and in seed banks is imperative. A recent blog on Food Tank outlines 15 seed saving initiatives protecting biodiversity for future generations. For many the concept of saving seeds is firmly entrenched in the ideals of food sovereignty, which is about the right of people to define their own food systems. Few would argue against increasing food production in developing countries and reducing the huge amounts of imports, which can leave poor consumers at the mercy of volatile global food prices. But in the extreme, food sovereignty espouses the restriction of all food trade and corporate involvement which raises a couple of issues.